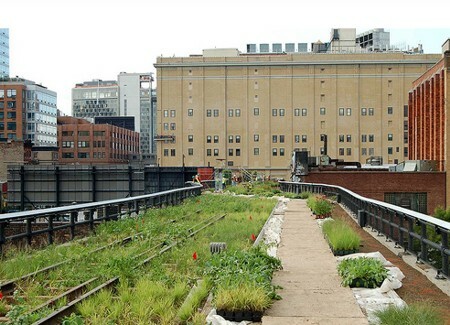 NYTimes say, now is the perfect time to reinvent the America’s cities. Exactly now, just in the peak of the economic crisis. Like Franklin Roosevelt did in the 1930s and Eisenhower in the 1950s. I suppose this is a well-known recipe for economics students. I haven’t read their books. But all sounds as such a utopia (although no wonder the Americans manage to create new urban model out of the recession after all) that I wonder what would become of the Bulgarian post-construction-boom cities if someone diligently takes up reinventing them. I take it for granted that the Sofia underground and the highways will be finished (at some time or other). But imagine competitions for alternative vegetation for the recently overbuilt areas in Sofia. A new pedestrian/bicycle network of alleys and parks connecting all (I mean all) Sofia districts. Some nouveau riche Bulgarian connoisseur who decides now is the right time to clear his consciousness and commissions the construction of the Sofia Guggenheim equivalent. In Zaharna fabrika for example. The High Lane Project in Manhattan is an example how something impossible at first gance can become reality. 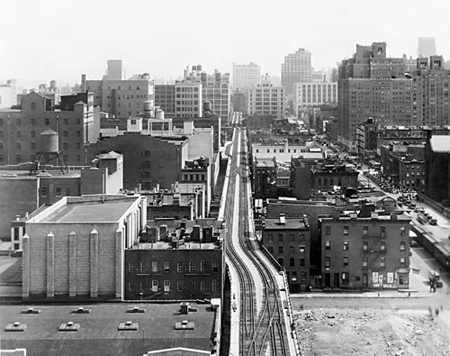 About thirty years ago the train rails in the former industrial disctrict in Manhattan’s West Side were deserted. The rails however are a place of interest of their own — they run above the ground, pass among building, high in the air, there is a view. But a group of private property owners purchased the land below for new construction. Their intentions were strongly opposed. The Friends of the High Lane organization was created which wanted to reuse the place as public open space. The battle was epic. New York mayors came and went. Newspapers commented, architects made projects. Eventually, with the assistance of New York City Council, the project for parks and open public zones over the railroad tracks was under construction. Now I’m wondering. Why not found some Friends of Zaharna Fabrika organization. Might bring the place to life some day.